Many times, when people go in search of health tips on the internet they come across some great advice that is simply above and beyond what they were looking for. Wellworks For You understands that starting with health tips that are simple, easy to understand and incorporate into your lifestyle are what is needed. Below, we have listed just four of our favorites. To learn more, get in touch with us! We would love to hear your story. Water is vital to the human body’s well being. Many people go throughout a majority of their days dehydrated and don’t even know it! Drinking the right amount of water is not hard to do, but may take a couple days of focus and work at creating this great habit. A simple way to get this health tip into your life is to buy yourself a water bottle that you love. Something that is easy to transport, doesn’t leak, looks great, is easy to keep clean and helps you easily track your water intake. There are so many great options on the market today. 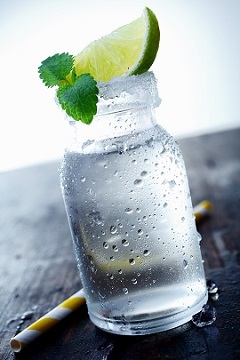 The popular rule of drinking is to consume half of your body weight in ounces. For example, if you weigh 180 pounds, you should be drinking 90 ounces of water a day. Factors like diet, exercise, climate and life stage will also affect your necessary amount. This health tip will be harder for some to actually implement than others, but its benefit cannot be overstated. The human body will work at its optimal levels when it gets not only the right amount of sleep but also a consistent schedule. Because of the cycles you go through during your sleep, your body will be better off when you allow it to get into a rhythm. Not everyone can get six to eight hours of sleep every night, but setting a goal to at least make your bedtime and waking time the same a majority of days out of the week is a great way to get started in this important area. Spending some time discovering what stress management methods actually work for you is a great time investment. Knowing these things about yourself will greatly benefit you for the rest of your life. Everyone handles stress differently. Try different techniques like exercise, meditation, hot baths, massage, reading, listening to music, etc, until you find which approach is most effective for you. Being able to manage stress in healthy ways will save you and your body a world of trouble down the road! 4.) Try a 4 Minute Workout! Many times our clients express to us a discouragement that so easily takes hold when they attempt to begin an exercise program. Our health tip and encouragement here is to start small! The truth is that a four minute workout, five days a week can be just as effective as a fifteen minute workout if you put your all into the time you spend doing it. There are so many fun ways to get your heartrate up. No matter what you choose, remember to mix it up and give it everything you’ve got! Try out these 4 tips and see how they can help enhance your health. Good luck!